FACT initially focused on education and teaching people how to care for their pets. This remains a primary part of our mission to help ferrets. But our goals were always designed to be flexible so efforts could be directed where they were most needed. 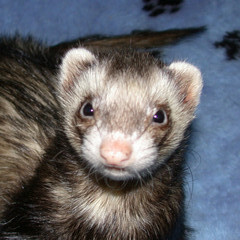 From 1991 to 2011, the greatest need was for a shelter for lost and abandoned ferrets. Today, regional humane groups and animal control facilities in the Northeast are more often accepting and placing ferrets just like any other lost or abandoned companion animal. Thus, our focus is now on providing a safe haven for more difficult to adopt ferrets and providing permanent care for those abandoned in the sunset of their lives. FACT’s advocacy and shelter support programs have continually grown. We are now seeking to utilize our organizational experience to support other ferret shelters across the country. At the same time, ferret caretakers, be they individuals, shelter staff, or veterinarians, will always need reliable, unbiased and factual information from those with extensive knowledge and expertise in domestic ferret care. 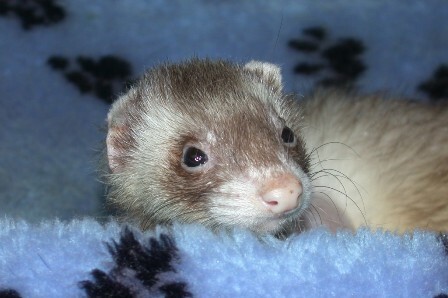 We hope you will join in our journey to help ferrets. FACT began as 5 people sitting around a table who agreed that ferrets in our area needed help. In 1991, there were no other ferret shelters in New England. Around 1986-88, through online message boards, Ann Gruden had met a couple who did ferret rescue in Pennsylvania. They were holding a show to help raise funds for their club and the Grudens attended. There they met a number of people who had been breeding, showing, and rescuing ferrets in the mid-Atlantic region. They took in their first two adopted ferrets, Mini the Muncher and Bismark. They spent a couple of years attending shows, learning about ferret rescuing, and focusing their lifetime interest in animal welfare into ferret welfare. This was an important time in terms of the eventual development of FACT. They learned what did and didn’t seem to work for the various types of clubs and groups, who the “players” were in the ferret community, and more and more about basic ferret care. They remain grateful to those shelter operators and knowledgeable ferret caretakers who generously shared information and resolved that their gratitude could be best repaid, in turn, by freely sharing information with others. Early on FACT worked with the Pennsylvania shelter to transfer animals to them for adoption. It very quickly became obvious that was not sustainable; as the word of a ferret organization and shelter had opened, a hidden pool of animals that people had just been waiting for an opportunity to place also opened. Word spread. Humane organizations and veterinarians who had previously simply turned ferrets away now had a place to refer them, and the ferrets arrived in numbers. And when FACT took in sick or elderly animals, it was clearly unfair to transfer their costs and burden to another facility. Thus FACT’s rescue efforts grew into a full-fledged shelter and we incorporated as a formal nonprofit organization. Ann Gruden has retired from Board President, but remains actively involved, most recently being responsible for guiding the Xavier-A Ferret Abroad on Facebook that raises money for canine distemper outbreaks and small shelter grants for vaccination clinics. She also directs and maintains the websites for FACT, the Xavier Fund and the Ferret Shelters Directory. Vanessa Gruden is employed by FACT as executive director and, as such, manages the day-to-day operations of the organization. FACT is governed by a Board of Directors. Glen Farney, a FACT member since our first event, is currently Board President. His wife Della, a veterinarian, is also on the Board. Members such as Ann Salafia have also been with the FACT board since our early days and bring a wealth of deep ferret knowledge and experience to the organization. Today, FACT operates one of the longest-running ferret shelters in the US. It is financially one of the largest ferret organizations in the US. We have supporters and have helped people around the world care for their ferrets. We have created innovative programs such as our Foster program for sick and/or elderly animals, the Ferret Shelters Directory and education classes. We are proud of our accomplishments and have always striven to operate ethically and to never forget that our focus is on the welfare of the ferrets. Mira was a special little ferret who had a tremendous impact on FACT and our organization – far out of proportion to her tiny little size.